Pictured: President Hage Geingob addressing high level government stakeholders in housing. Photos: Zorena Jantze. PRESIDENT Hage Geingob has warned that individuals pushing a political agenda by preventing the police from doing their work of demolishing shacks will not be tolerated. In fact, the president is of the opinion that police officers should rather be deployed regularly to these settlements as a preventative measure in the erecting of illegal structures. Geingob today met with various City of Windhoek Councillors, the Khomas Regional Governor, Windhoek Mayor, the Minister of Lands and various high level cabinet members to address Windhoek city’s urbanisation crisis which he says has culminated in the shrouding of informal settlements. 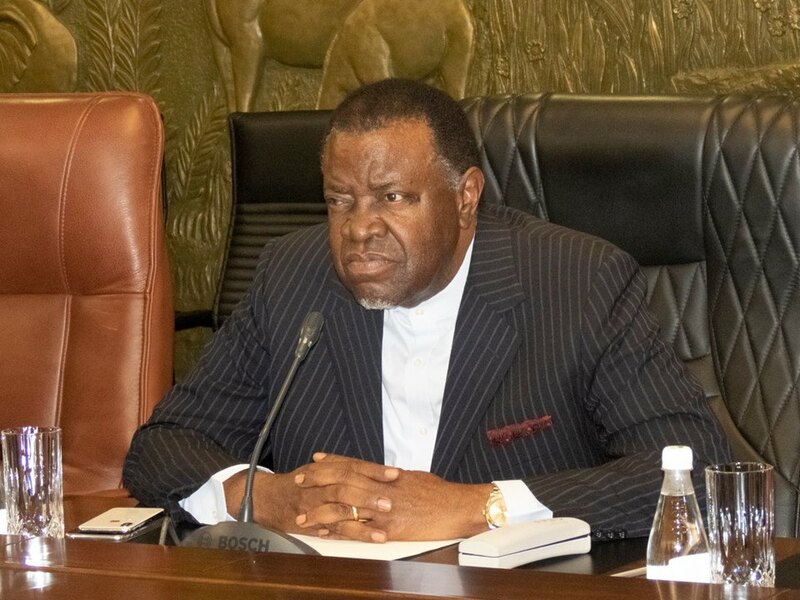 President Geingob stressed that it is very cruel and ugly to demolish a shack which is being inhabited by a family, and that the police should rather prevent the setting up of these settlements by increasing surveillance in informal settlements. Dr. Geingob stated that the situation in informal settlements has been styled as constituting a national humanitarian crisis, and has not been declared as a “State of Emergency”. “We should address getting rid of these informal settlements. We have a crisis where humans stay in unbearable conditions. 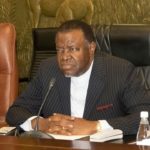 It is a year of accountability and this thing of using legal reasons, while resolutions were passed at the land conference will not work,” Geingob said. President Geingob further lamented that some shacks are being rented out to the poor by rich. “Some people built good houses elsewhere for themselves and still erect shacks to rent out to poor people looking for a place to stay,” he said. Reiterating this, Khomas regional governor Laura McLeod-Katjirua stated that it is not only the poorest of poor that live in these settlements, as studies show that 70% of informal settlers are civil servants. Katjirua further stressed that it is an embarrassing situation as Windhoek city was once ranked as Africa’s cleanest city. “We have to admit somewhere, somehow that we are not doing the right thing,” the governor said, adding that the problem of high influx and population density in these areas is being perpetuated by attitude problems. “Residents state that the land belongs to government, and services provided such as toilets are vandalised after 3 weeks. We considered upgrading, however, we are being fought as some people have come to enjoy these free services,” she said. Sharing his views, Windhoek mayor, Muesee Kazapua stated that the CoW is on a daily basis confronted by issues of lack of provision of basic services and housing provision. Kazapua stated that central government must react with strict measures on this issue, and draw up clear policy measures. He added that audit investigations should filter out which residents of these settlements cannot really afford housing, and who can. Faniel Maanda, Manager of Human Settlements at CoW, stressed the severity of the situation, stating that in 2011, it was assessed that 87,000 people lived in Windhoek’s informal settlements. That number has since grown to 131 000, with a growth rate of 7,3 % per annum. He added that Namibia’s population doubling time is 9,5 years and this in itself is a disaster. Touching on how much would be needed to remedy the situation, he added that for the purpose of project financing, the disaster declaration period be divide into two phases: The Immediate Intervention Period (Phase 1) and Medium Term Period (Phase 2). He added that central government should provide for funding for Phase 1, to the tune of N$1.6 billion, which will cover 26 out of 87 informal settlements while City of Windhoek covers administrative costs.